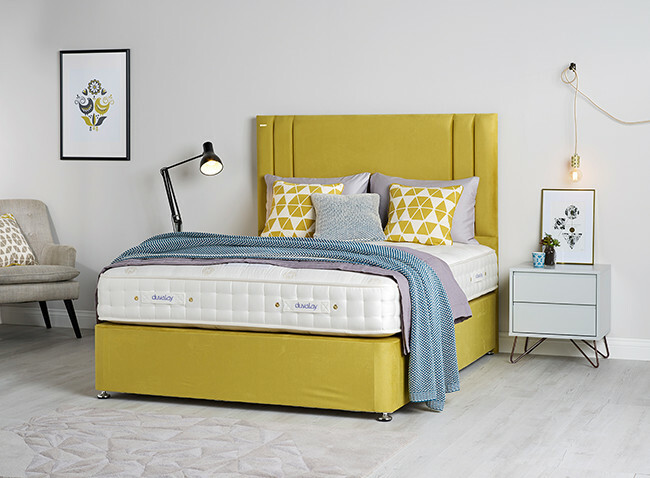 With a ‘medium’ tension comfort rating, the Portland mattress is the best all-rounder in our Rosalia Collection, and our Sleep Experts’ top recommendation for front, side and back sleepers. 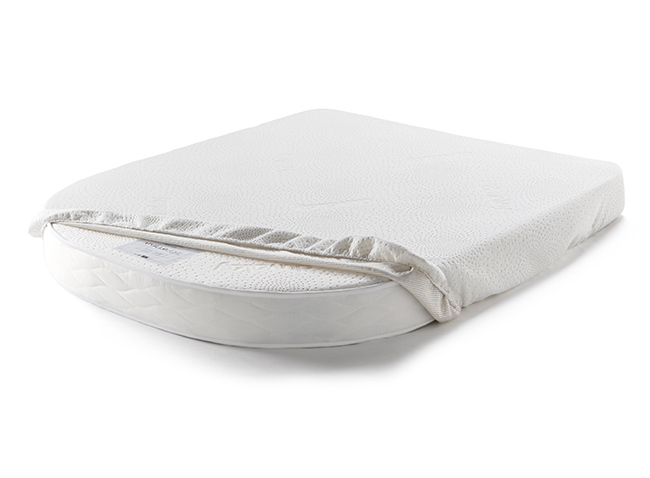 The Portland is the best mattress for couples of differing weights and sizes, as the individual pocket springs intuitively adapt to every sleeper’s requirements. By gently supporting the natural curves of your spine, it promotes restful, rejuvenating sleep. The perfect combination of finest wool and durable cashmere softens the impact of the pocket spring core for a cushioning and comforting feel. Just like its namesake rose, the ‘no turn’ Portland mattress is very easy to care for. 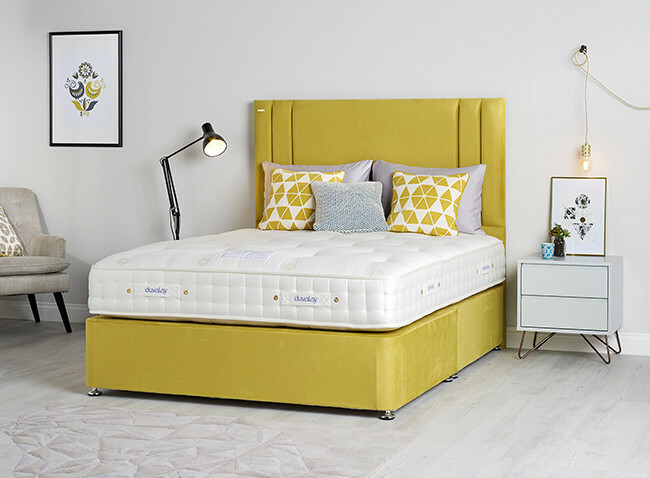 The added vents to the mattress border allows air to freely circulate deep within its interior – wicking away any moisture from your skin for a cooler, fresher feel. 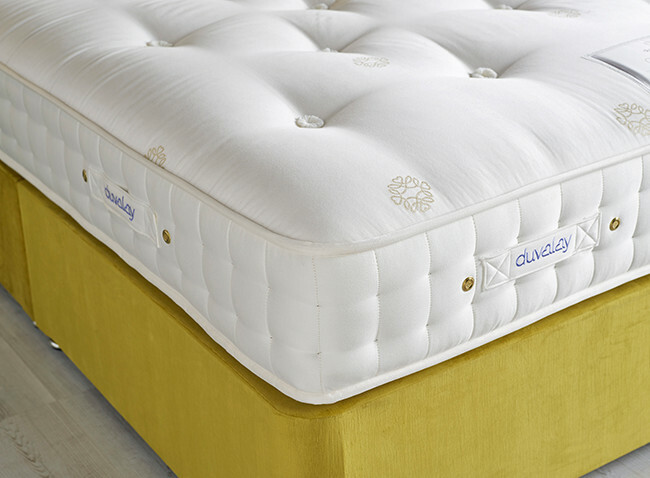 The combination of a supportive core topped with luxurious fillings is bound to tick every box in your search for the best pocket sprung mattress. With 1,500 pocket springs and some similar features, the Portland is the mid-range alternative to the Garland – making Duvalay’s contemporary take on luxury and glamour affordable for all.